AMSTERDAM| During the world’s largest LoRaWANtm event the OpenCollar initiative was announced. OpenCollar is a conservation collaboration to design, support and deploy open-source tracking collar hardware and software for environmental and wildlife monitoring projects. Currently, the deployment of collars is a reasonably expensive and difficult matter for many organizations and individuals involved in conservation or wildlife law enforcement. 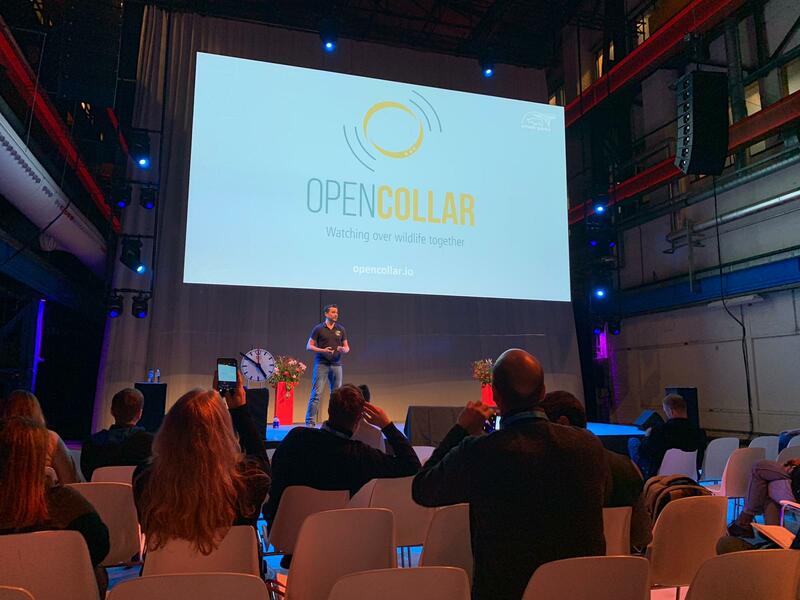 OpenCollar wants the development of wildlife monitoring collars to enter the world of the cooperative, Internet-based community. By making the collars’ hardware and software and other information available online, the Initiative aims to attract and inspire talented students, researchers, and tech-savvy conservationists to create tracking systems that are more customizable and a better fit for use on different animals. Making existing technology available for anyone who wants it also means anyone can inexpensively build and adjust collars, with for example a GPS, GSM or LoRa module, for their use cases. The conservation organization Smart Parks has kickstarted and funded the design and development of the first OpenCollar Elephant tracker that consist of different modules that can be combined into several different configurations, depending on the use case. The first testing starts at the end of March. Other organizations that are supporting OpenCollar are WWF, Save The Elephants, Peace Parks, Vulcan EarthRanger, IRNAS, Lacuna Space, Wildlabs, Conservify, and Arribada.